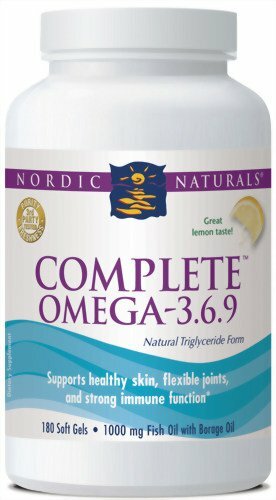 It’s been a few months since I started using Nordic Natural’s Fish Oil supplement so it’s the perfect time to review it. For my original post, click here. Review: I wanted to try this product because I’d read great reviews about its effect on improving acne. My acne is hormonal with the root cause being inflammation of course. This did a great job at calming my skin down and preventing new pimples from forming. It halted the inflammation that has been a problem for some time now, as it allowed my old blemishes to heal. My hair has grown faster than normal and my nails are stronger and longer as well. This is often expected with omega supplements but not always the end result. There was no taste with these although I expected the lemon flavor to be strong, it wasn’t. I really like this brand and will continue to include it in my regimen. PROS: Besides seeing an improvement in my skin, hair & nails, I also noticed I suffered from zero headaches after taking these regularly. I’m in the process of improving my diet and reducing my carb intake for many reasons; but one is definitely to stop the headaches I noticed were coming on regularly. I attribute the decrease in my headaches to taking my Nordics. It kinda balanced out my mood a bit too which is something I didn’t expect but if I go a day or two without taking them, the crankies flare up again so there’s another perk to this fish oil. Tho, I’d read a study awhile back citing omega-3 as having the same characteristics as mood stabilizers (but in a healthier fashion) so that would explain it. My muscles are also less sore the day after my workout (even if I fail to stretch), which is very rare. I like that they’re so easy to swallow despite being a lil larger than most but the casing is really soft unlike other Omegas I’ve tried in the past. CONS: I really can’t find much wrong with this product which is why I wanted to wait before reviewing it. You have to take it everyday to really see the benefits & sometimes I can get a lil lazy with my supplement regimen so that’s about the only drawback but that’s usually the case with any vitamin or supplement taken so it’s definitely not a deal breaker. Overall, I think this is a great quality Omega supplement. Does exactly what I hoped it would plus more & no fish taste/burps for those of you that wanted to know. It’s a keeper! This entry was posted on March 30, 2012 by suite7beautytalk in Acne, Beauty, GREEN LIVING, REVIEWS, Skin, SKINCARE and tagged Fish oil, nordic naturals, Omega-3 fatty acid.